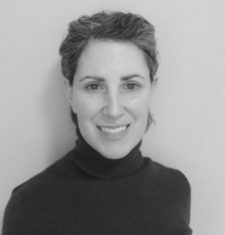 Suzanne is the Director of the Vermont Leadership Institute and the Early Childhood Leadership Programs bringing over 20 years combined experience in early education, coaching and leadership. She joined the Snelling Center for Government in 2015 from Karme Choling Shambhala Meditation Retreat Center where she served as the Deputy Director. Suzanne holds a MA in Human Growth and Development for Special Education from George Washington University. She went on to serve five years as the Lead Special Educator and Education Consultant for Williams Cone Elementary School in Topsham, Maine. Suzanne is a graduate of the Vermont Leadership Institute Class of 2015. She works with Vermont organizations conducting workshops on leadership as well as teaching mindfulness and meditation practices to youth and adults. Suzanne lives in Montpelier.